The most incredible privilege this side of heaven is the opportunity that God provides each and every one of us to be included in His story. When we come to faith in Christ, we’re described in Scripture as “his workmanship, created in Christ Jesus for good works, which God prepared beforehand, that we should walk in them.” While we’re waiting for Jesus to return, the Holy Spirit is at work through us (if we’re willing) in the task of re-establishing God’s kingdom and restoring the world to the way God intended it to be. Esther’s life might be viewed as a series of fortunate occurrences that positioned her for her specific role in God’s plan to protect and rescue his people while exiled in a foreign land. God’s plan didn’t depend upon Esther. But Esther received a unique opportunity to honor and glorify God. We know of and admire her courage 2,500 years later because of the way she embraced her role in God’s story. As our team gets ready for the release of Mental Health and the Church on Tuesday, I find myself experiencing a sense of awe and wonder in contemplating the tiny, little role God has given us to play in his much larger plan to extend his love and reveal his glory to the millions upon millions of people struggling with the effects of mental illness who aren’t part of his church or are estranged from his church. We’ve been doing our ministry for over fifteen years. It’s probably closer to twenty years ago that I experienced my first “nudge” to imagine a ministry to help churches serve families of kids with “hidden disabilities,” with common mental health conditions representing the vast preponderance of hidden disabilities. The ministry didn’t proceed according to my timeline. We went years in which church leaders showed little or no interest in our services. We didn’t have the right words to describe the ministry needs we were trying to meet or the strategies we were trying to get churches to implement. Most church leaders we contacted were oblivious to the need for our ministry. In the meantime, I quietly went about my work as a child psychiatrist, taking care of lots of kids and learning the things I needed to learn to be a credible teacher and physician. My job involves taking a lot of seemingly random observations from parents, teachers and kids and recognizing patterns in those observations that shape my understanding of why kids are struggling, and inform the plans I suggest to help. I’ve observed another pattern in the last couple of years suggesting that God is putting a larger plan in motion. 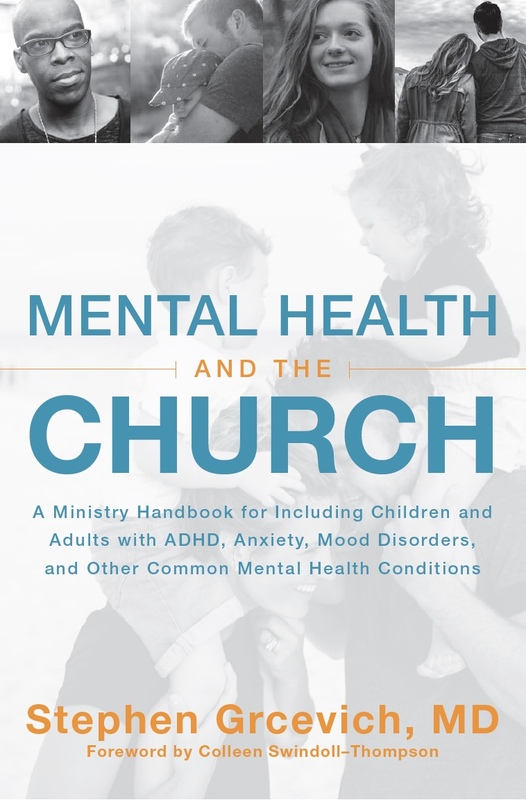 The evidence God is moving to transform ministry with individuals and families with mental illness is unmistakable. In recent years God has been placing the need on the hearts of many of his people and more and more of his followers are stepping forward. Some are famous, like Rick and Kay Warren. Some are highly respected thought leaders in the church, like Ed Stetzer. Some are pastors with a personal experience of mental illness (Brad Hoefs) or a spouse with mental illness (Joe Padilla). Some are pastor’s wives with depression (Gillian Marchenko) or magazine editors raised by a mom with schizophrenia (Amy Simpson). Some are adoptive parents of kids with serious mental illness (Kelly Rosati), children of highly respected Bible teachers (Colleen Swindoll-Thompson) or successful executives (Catherine Boyle). Nearly forty different pastors, ministry leaders and concerned Christians volunteered to help our ministry team launch our new book. Each of them has a story to share of how God is moving them to help care for individuals and families touched by mental illness in the churches and cities where they’ve been placed. It’s like they came out of nowhere. I was overwhelmed – and very moved. I can’t help but think that the circumstances that led me into child psychiatry, the professional opportunities I’ve experienced, the colleagues I’ve met and the friends I’ve made while doing ministry were all preparation for my small role in God’s much larger plan. His timing is perfect. I wouldn’t have had the proper understanding or right words or right contacts to write this book any time before God opened the doors. And God’s timing is aligned with plans he has for so many other Christians with works he prepared for them before the beginning of time. My sense of awe and wonder with God’s process was never greater than it was three months ago. One of the principles I’ve come to embrace is that any ministry plan that is truly from God depends upon God’s involvement for its’ success and is impossible through human effort alone. When reading through the book for the final time before it was sent to the printer, I had an overwhelming sense that the words in the book somehow weren’t mine. I’d like to think they were the responsibility of the “power at work within me” that a pastor who served as one of our founding Board members used to reference weekly in his benediction. Here’s my challenge to those reading this post… Does God have a place for you in his movement to transform the way the church loves persons touched by mental illness? Has he positioned you to be an agent of change in your church? Is he calling you to serve people in your community hurting as a result of mental illness? Has he positioned you to come alongside someone with mental illness to help them to overcome challenges that make it hard for them to be part of a worship service, small group or Bible study? Over the next few days, our ministry team will be sharing supports and resources we’ve prepared to help churches and individuals implement the ideas shared in the book and discover the work God is doing through the other leaders referenced in this post. We’re prepared to come alongside you or your church if you’re ready to take the first step. Our entire Key Ministry team very much appreciates your prayers and encouragement upon release of the book. 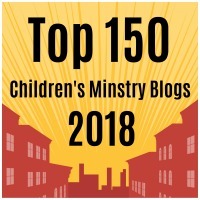 We’d ask that God would place it in the hands of everyone he wants to read it, and that the plans and ideas generated by the book lead to many children, adults and families being introduced to Jesus and coming to faith in him. This entry was posted in Key Ministry, Mental Health and tagged Amy Simpson, Brad Hoefs, Catherine Boyle, Colleen Swindoll-Thompson, Ed Stetzer, Gillian Marchenko, Joe Padilla, Kay Warren, Kelly Rosati, Key Ministry, mental health and the church, mental health ministry, Rick Warren, Stephen Grcevich MD. Bookmark the permalink. Great post, Steve! It’s going to be so exciting to see what God is going to continue to do as He writes His story! I can’t wait to get my book and get started reading it. Sharing on FB and Pinterest.